Seventeen. That’s the magic number today. It was 17 years ago today that I packed up a suitcase and trunk (do people even use those anymore?) and hopped on a plane that brought me to my new home — New York City. I was 24 years old and at the time I thought it was such a simple thing to do. I had no job offer, no big bank account and about $800 in savings. I didn’t really like New York City for another 3 years but I came here because I was bored in Chicago and figured at least there was something new about New York City! 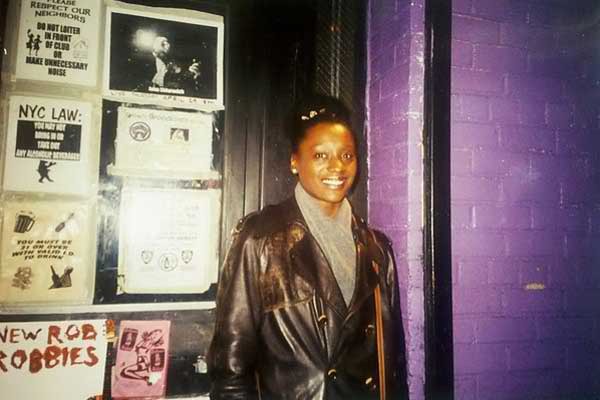 Me, waaaaaay back in the day, on the streets of New York City! That first day when I arrived I had just two friends here, my great girl friend Sheryl Roberts and a new friend Daniel Soriano. Both are still great friends today, 17 years later. At that time I didn’t imagine that I would still be here 17 years later. For me New York was just a pit stop on the journey of life… one that would last 2-3 years max. I now realize that I have been in this place for almost as long as I was in Chicago. Since then I’ve even persuaded some of my fellow Chicagoans to move here (and those that did are having amazing careers, fabulous lives and glowing futures). There’s something about this place! When you’re new to a place, or when you need to get known (such as in business) you need to get the word out there that you exist. Moving to a new place, or changing the game on your home turf can be tough. When it comes to business, I always recommend press releases. The great thing about a press release is that it can introduce you to your local and regional market in a flash. Today’s article gives you a whole bunch of reasons to write on for your business soon. Plus, and this is special, my friend Angelo has just completed beta testing for a software program that allows you to build an app for your business at less than $200. See the brand booster for details.